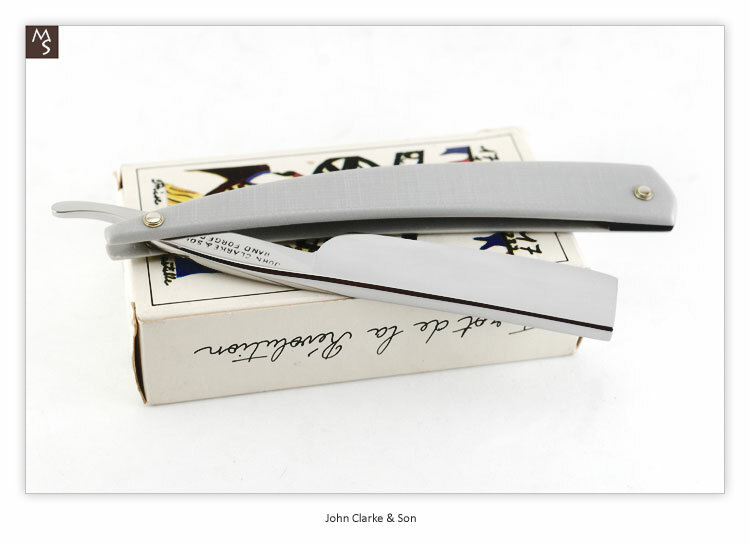 Vintage Straight Razors offers a Customized Vintage Straight Razor - John Clarke & Son - Sheffield - Hand Forged - 6/8 - 1/8 hollow w/G10 Gray. 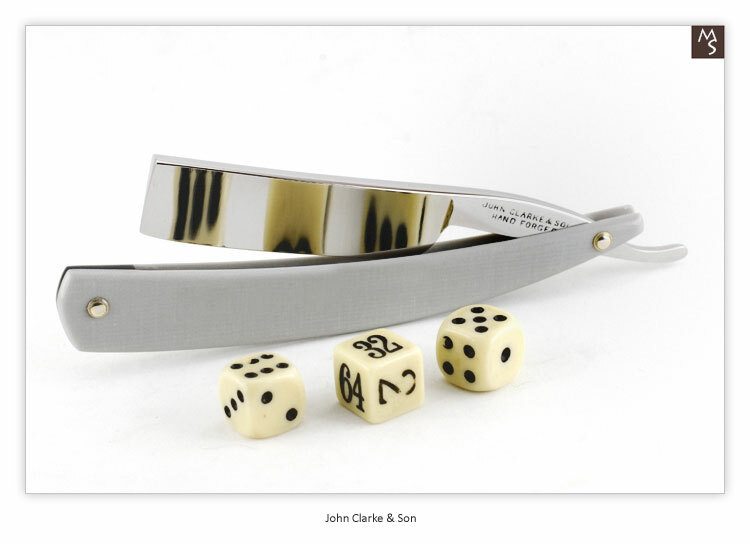 The custom scales are G10 Gray , tapered with a G10 black wedge. 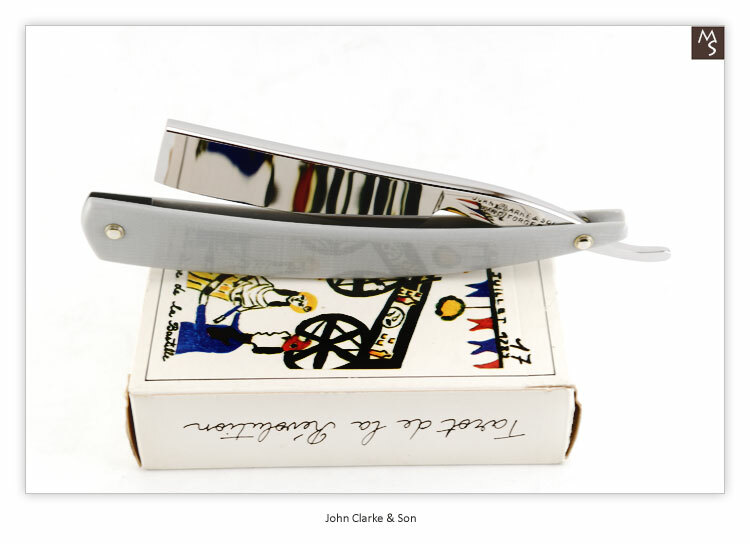 The blade is extremely shiny, clean with no rust, cracks, chips, pitting or disturbing stains. 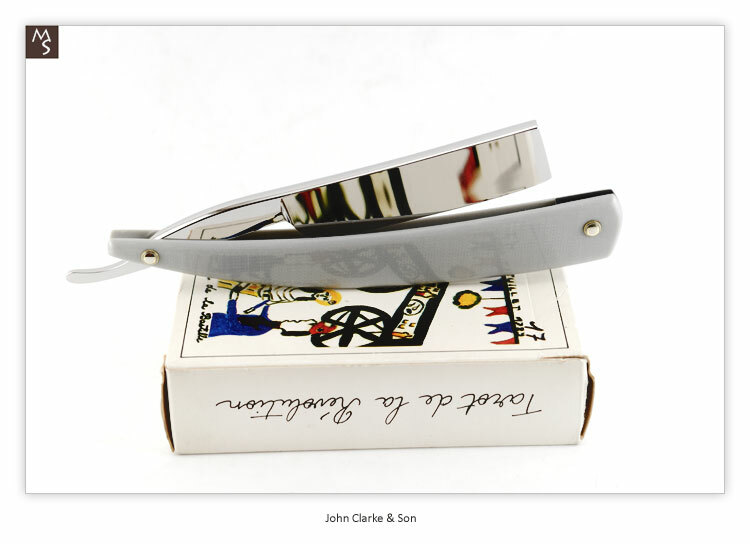 Blade has been completely cleaned and polished. Blade centers nicely and pins are tight. 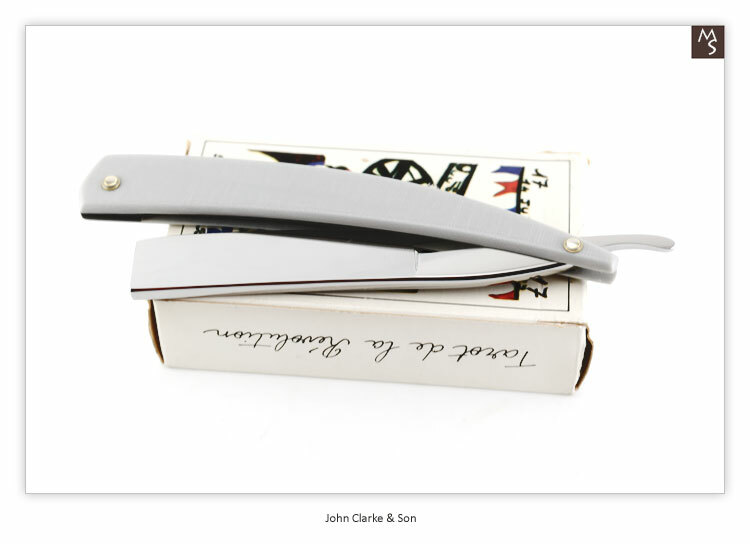 Beautiful example of a John Clarke & Son. 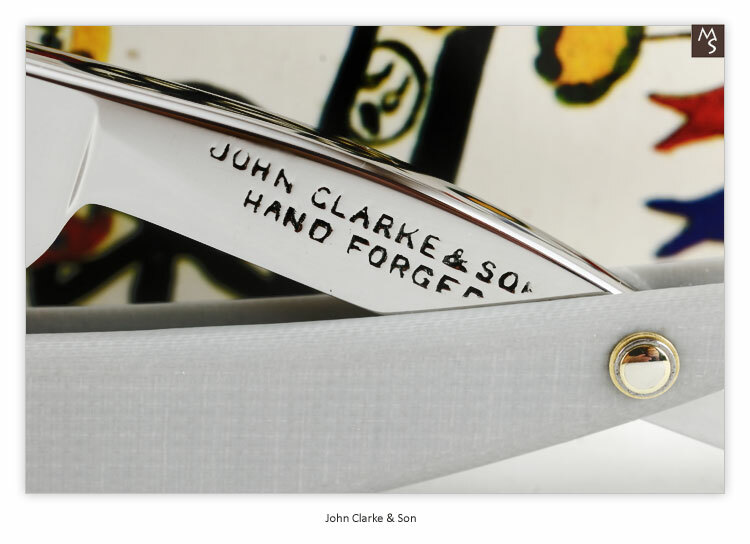 John Clarke & Son 1892-1921: This company manufactured "Bowie type knifes amongst other kinds of cutlery and goods in other metals. They were located at Harvest Lane, Sheffield. 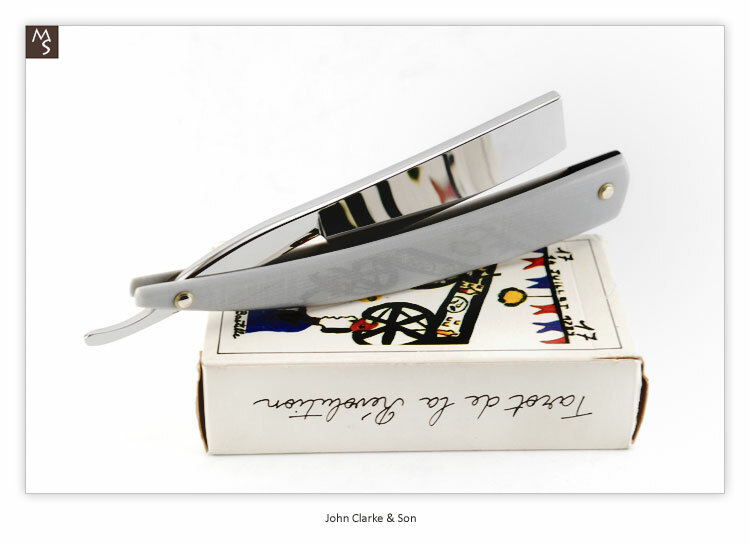 They were also exhibitors at the British Industries Fair of 1922. 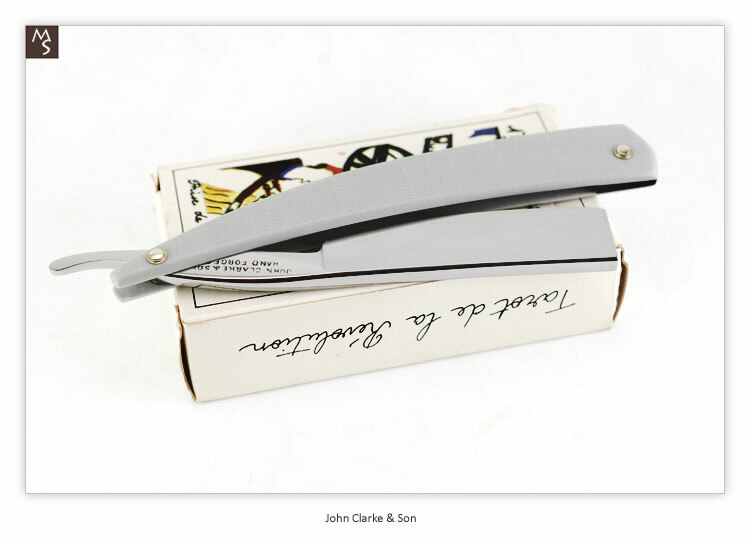 In the 1870's they produced the well known William Rodgers knives which was sold under 'John Clarke Incorporating william Rodgers'.